Beautifully crafted and detailed, this coffee & end table set will instantly bring a rich, sophisticated style to your home. Beveled edge faux marble tops on each piece provide the perfect, easy-to-wipe surface for displaying artwork or holding drinks, books, and lamps. Ornate wood mouldings on wood frame and thick legs provide a traditional style with sturdy support. Enrich your home with this set of occasional tables for a visually pleasing style. 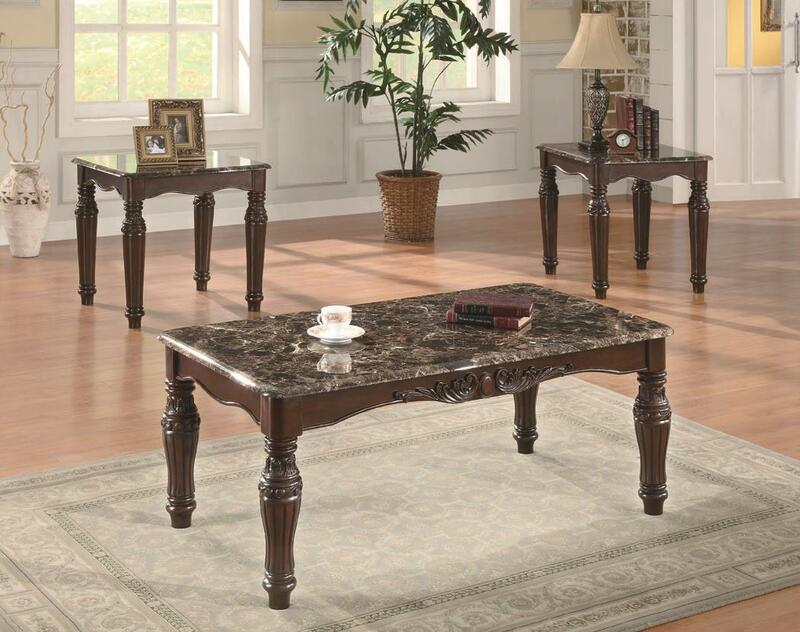 The Occasional Table Sets 3-Piece Traditional Faux Marble Occasional Table Set by Coaster at Rife's Home Furniture in the Eugene, Springfield, Albany, Coos Bay, Corvallis, Roseburg, Oregon area. Product availability may vary. Contact us for the most current availability on this product.